[ Reginald Allender Smith, archaeologist. ] Autograph Letter Signed ('Reginald A. Smith.') to the Assistant Secretary, Royal Society of Arts, regarding a meeting, and extra copies of a paper. On letterhead of the Department of British and Mediaeval Antiquities and Ethnography, British Museum. 5 June 1907. 1p., 12mo. In good condition, lightly aged. With the Society's stamp. He is 'most obliged' for the 'generous response to my application for extra copies' (presumably of a lecture by him) for 'friends or critics'. If the recipient is 'interested in developments' he should 'attend the meeting on June 21st at 8.30'. [Harry Reginald Hall of the British Museum, Egyptologist.] 27 Autograph Letters Signed to F. G. Gordon, written in a playful style on scholarly matters, including Tutankhamun's tomb. With a copy of Hall's funeral service, and two other items. Most on British Museum letterheads; two from his home address, 13 Chalcot Gardens, NW [London]; others on Royal Societies Club and Burlington Fine Arts Club letterheads. One from Abydos, Egypt. Sixteen between 1897 and 1929; the others undated. The letters total 104pp., mainly 12mo. In fair overall condition, with light aging and wear. Seventeen are signed 'H. H.', three 'Harry Hall', one 'H. R. Hall', three 'H. ', one unsigned. Most addressed to 'Frank', others, in playful style, to 'Ryzt Worchypfull & very dere ffrend', 'Respected Friend and most admir'd Poet!' and 'the Scribe of the Admiral's | Yamen, Fa-erh-an-ki'. Also present is an Autograph Card Signed. 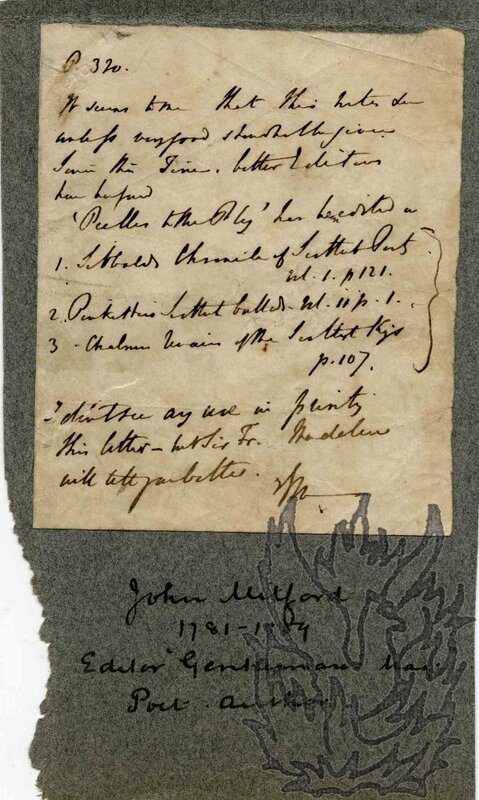 [The first two printed parts, the first with inscription by author.] History and Antiquities of Brentford by Fred Turner, F. R. Hist. Soc., Author of "Brentford Literary and Historical Sketches," etc. Fred Turner, F. R. Hist. Soc., Author of "Brentford Literary and Historical Sketches," etc. Both parts: Printed for the author by Henry R. Bohee, 58 & 59, High Street, Brentford. 1921. Both parts in fair condition, with light signs of age; the second part with creased corner causing damage to the last couple of leaves and back cover. Two stapled pamphlets, uniform in grey printed wraps. PART I. 'Stone Age to 8th Century A.D. | Illustrated.' + 13pp., 4to. Frontispiece and two full-page illustrations, with two more illustrations in text. Inscribed on front cover 'With the author's best wishes | Xmas 1921'. PART II. 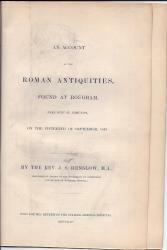 '10th to 14th Centuries A.D., etc. | Illustrated with Photographs by the Author.' 19pp., 4to (paginated to 32). Rev. J.S. Henslow, Professor of Botany in the University of Cambridge, influence on Charles Darwin. 12pp., 8vo, fdg frontis, some foxing, left edge slightly wragged, mainly good condition. Scarce. COPAC lists five copies. Autograph Note Signed ('J M'). 12mo: 1 p. Dimensions of leaf 11 x 9 cm. Twelve lines of text, headed 'P. 320'. In poor condition: grubby and aged. Laid down on piece of grey paper removed from autograph book. 2 cm closed tear in bottom left-hand corner affecting a couple of words of text. Difficult hand. Criticising a note, giving references to three works. Ends 'I don't see any use in printing this letter - but Sir F. Madden will tell you better. | JM -'. Autograph Letter, in the third person, to Neale. 4to: 1 p. Thirteen lines of text. Text clear and entire on aged and creased paper. Remains of stub from previous mounting adhering to reverse, and short printed biography tipped in along margin. A formal letter in the third person. Galway is 'extremely [underlined] sorry that he shold have given Mr. Neale so much trouble respecting the eighth Part of Westminster Abbey', which the peer had assumed was missing, but 'finds upon farther examination that it is with the other numbers'. Typed Letter Signed ('R. L. S. Bruce-Mitford') to Miss Robin Place. 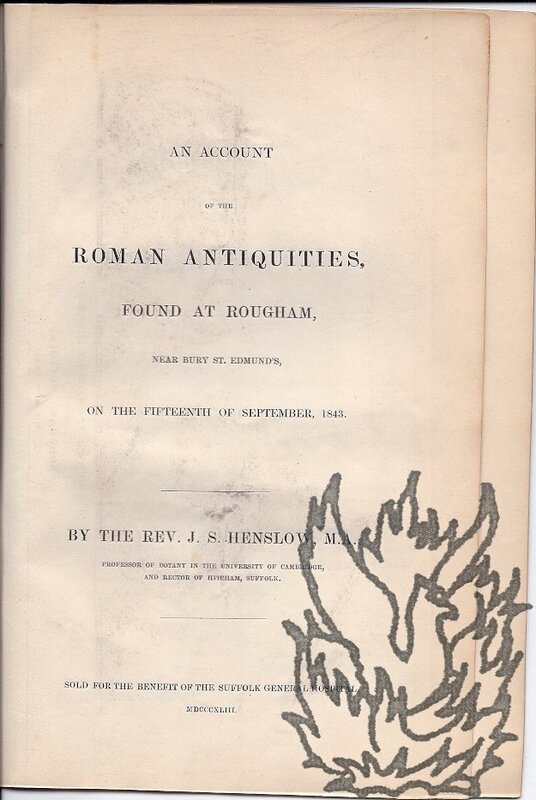 14 October 1947; on letterhead of the Department of British and Medieval Antiquities, British Museum, London. 4to: 1 p. 22 lines. Text clear and entire on lightly aged and creased paper, with one 1.5 cm closed tear (not affecting text). Congratulating Place on her 'Assistant Principalship'. He considers she was 'very wise to take the opportunity'. He has discussed 'the house-key question with the Keeper [T. D. Kendrick]', who regards Saturday afternoons 'as a sacred time reserved for peaceful work, undisturbed by ones colleagues'. Consequently 'it would be rather difficult to accommodate you as a helper on Saturdays and after your week's work at the ministry'. 6 June 1951 and 2 April 1952; both on departmental letterheads. Both 1 page, 12mo. Both in good condition, although the first creased in two corners. It is unlikely that House held a senior position in his department as neither letter bears testimony to a good education. In the first letter he says he will be away from the Museum on a certain date, and suggests another day when, if convenient, he will 'bring the two ushabti figures from home and perhaps may be able to find others'. He saw Mr Epps on the previous day but 'we were too busy to talk'.